Over decades, Social media has emerged as one of the powerful industry, influencing the overall business and the market trend. And of course, the constant updates, social media platforms have succeeded to seize the limelight, bestowing no slow-down, it's continuously evolving. Today, social media apps are not confined to younger generations only, rather, the popularity can be seen across all demographic age. Concluding, it as an essential marketing tool will not be wrong. This standout trends will continue to emerge each year. Though, it's impossible to predict, "how the social media marketing landscape will evolve and how it can be leveraged to make transcendent success in the years to come. For instance, artificial intelligence lenses became a big win with Instagram Stories, similarly filters made out an rejuvenating success. Further, the beginning of Instagram Shopping ensured users with instant purchases. In this jam-packed year, numerous trends and phases were being active to make an automatic success. Here, let's find out what trends will accompany 2018? The (artificial intelligence) AI facial filters were sported first on Snapchat and the trend is continually growing to be adopted by other social media applications. The realm has influenced popular forms of social media, such as Instagram and Facebook. Comprising creativity and interactive engagement, the feature ideally engages users on social media. The filters create a shared experience for all individuals who engage with the application, forming a sense of community ( i.e. when people around the world bounded to adopt the same filters). Video bandwagon came as a big big win strategy in the year 2017 itself. if the number is to believe, according to a recent study approx 95% of brands states video content as a crucial marketing strategy. Further, research also reveals that 80% of the audience fancies watching brand's video rather than reading blog. Approx 82% of consumers engage themselves to watch the video rather than reading social media posts. Therefore, short Video stories are currently unique engagement model, and what makes it striking is its popular feature that lasts for a short period of time. Usually, these video stories appear for 24 hours from the time of posting. And the limitation of visibility makes this content relevant during its live period, attracting users into this form of social media. This relevance gives a sense of urgency to the users to check in periodically. Further, in case, users do not want to miss any stories during their “live period”, they require constant engagement. Social media app developers, understand, how user engagement is inevitable in business. Incoming social message for brand requires the quick response to draw traffic and secure proper engagement with users. As we know, how often organization receives thousand of the similar customer services related question! Well, with the execution of the chatbots, this task can be done in the channelized manner. Nowadays, businesses are adopting chatbots rapidly for interaction purpose, (i.e to communicate with customers on social media). In the initial years of advanced facebook messenger, the chatbots number jumped from 33,000 to 100,000+ approximately. This clearly showcases chatbots has eventually evolved. For instance; Pizza Hut uses chatbots to make it easy for the customer to order easily via social media platform. Well, this is not a new trend, however, Influence marketing is a billion dollar industry. It is uniquely keyed to explore facts about how to increase the buyer's numbers. Let's understand what this influence marketing exactly means? Influencers marketing refers to partnering with people having a strong following on social media (but they do not pose celebrity status). Typically, the micro influencers hold 1000 and 9000 followers. Research also reveals that micro influencers have 60% higher engagement than celebrity influencers. Further, the conversion rate can propel up to 22% on an average basis (weekly). With the rapid adoption, the standard of influence marketing will require extra endeavor. Adopting this tactic is cost-effective. The user-generated content is being used by brands to gain customers loyalty. This is more of a free advertising but an easy and best way to grow business. Ask your customer to talk about your business and encourage them to use the hashtag. This practice has huge potential to attract more users. 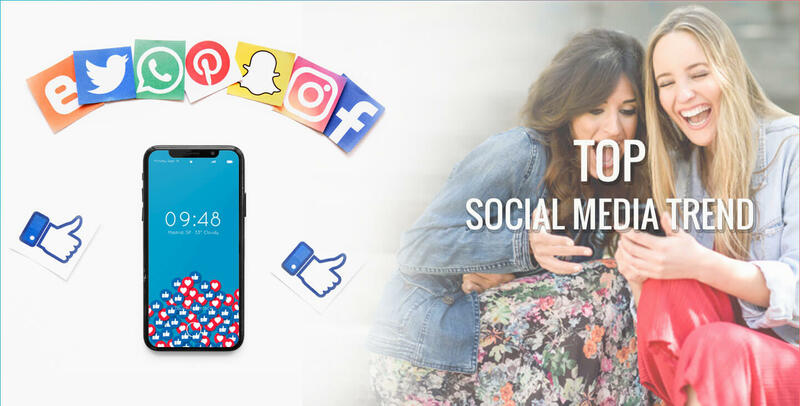 As we know, Social media Development are constantly booming, it’s necessary to stay up to date with the latest trends to effectively reach target audience. Hence, choose a Mobile App Development Company like - Root Info Solutions and improve your online presence in the year to come.